We’re trying to decide how to dress our phrenology head for Halloween. The head, nicknamed Harold, was a wedding present. He’s a beautiful bald vision in porcelain, with inspirational statements handwritten on his cranium. 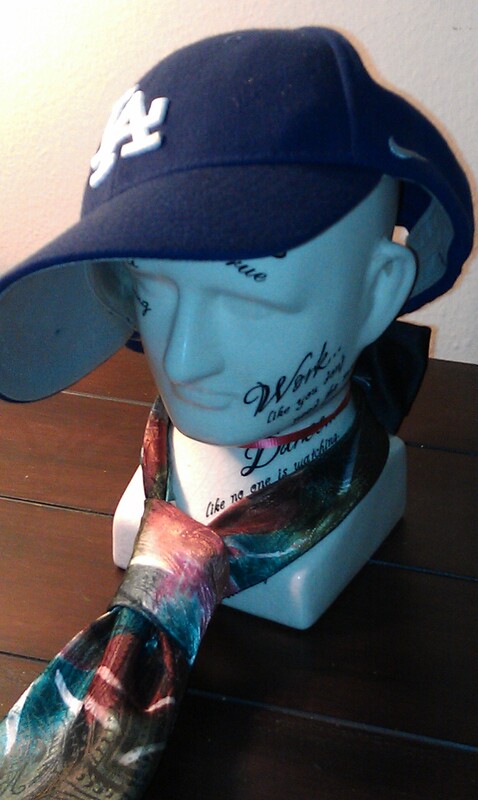 We’ve been a little remiss in dressing Harold, as evidenced by the funky necktie and Dodger’s cap that he’s still wearing from Father’s Day, so we’re trying to be more proactive. We love Harold and want him to have the best Halloween costume that a disembodied head can have. Tom thinks Harold would like dressing as a bunny, complete with fuzzy ears, but I think he’d find that get-up way too emasculating. With his sparkly white skin and faraway expression, I say we get a pair of plastic fangs and go Team Edward on him. Linda is correct. Harold has a blank stare and a head full of ideas. Based on that alone, I’m certain that, like me, he has Asperger’s Syndrome. In other words, he’s an Aspie. Asperger’s Syndrome is a form of autism hallmarked by an inability to read social cues. Aspies often gaze out at the world through blank stares. If Harold were a neurotypical porcelain phrenology head—NT for short—he would view his world with a definitive expression, deftly reflecting the world around him, and engaging in pleasant cocktail conversation. Still, he would look great with a kicky set of bunny ears.